Earthworks designed an Urban Square, Play Park, Market Area and Pedestrian Routes within the Hannover Park CBD for the Urban Design Branch of the City of Cape Town. The design included the landscaping and placing of trees in the project area. 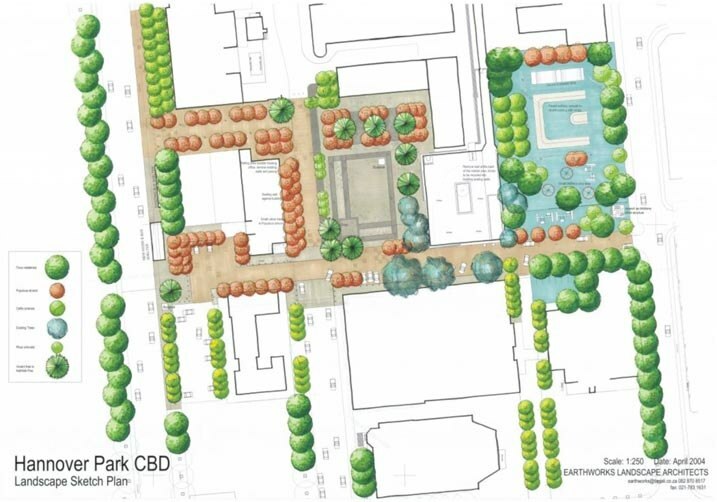 Hannover Park CBD was identified as an area that needed its central public space formalised and upgraded.